Everyone’s plan is kind of falling apart now and we get a lot of desperate teaming up. 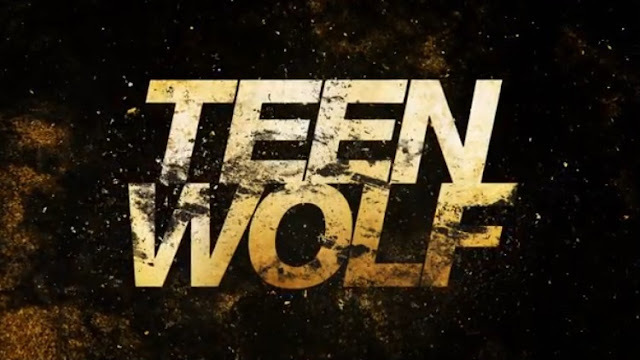 Malia and Kira team up with and Corey to help each other: Kira needs Josh to drain out all her excess voltage while Cory needs Malia to stop his pain so he can heal from his terrible Hellhound burns (is anyone even slightly surprised that Corey is, again, the most ineffective and pointless Chimera? This show hates gay people being actual useful integral parts of the plot). Stiles and Theo, able to get past the Mountain Ash, work together to chase after Valack through the tunnels under Eichenn House, snarking along the way about what a terrible person Theo is while tracking Lydia’s screams. While doing this Liam fights off several orderlies including one big guy who is supposed to be scary because he’s big never mind Liam being a werewolf. Well, we have to give the werepuppy something to do. Parrish can’t just yell “flame on” and charge into action – but a little homespun flamethrower and he’s good to go. Among the many many things that don’t stop a Hellhound we can also add Mountain Ash. Valack has Lydia because he wants her to use her super scream to discern the name of the Beast so they can catch him while he’s still a teenager – and not transformed into his full and deadly power. He wants to do this by making her wear a Dread Doctor’s mask which tends to kill people – which is a bad idea. He misjudges Lydia’s screams though and ends up with his head rather gruesomely squished by banshee decibels – bye bye Valack. Everyone manages to get out, with occasional ear-drum shattering screams – except Tracy decides to make one last play to capture Lydia and is stopped by – Natalie with a taser! Yes, Natalie has joined team sensible! Everyone quickly runs Lydia to Deaton, with her unleashing killer screams all over until Deaton doses her with mistletoe (I think he just grabs things at random). There’s a terrible, terrible, terrible tense moment when I actually thought Lydia was dead. I almost thought she was. I even began to type my scathing condemnation. So, well done Teen Wolf, you got me! She lives and the Pack is now officially back! She praises Stiles for saving her… well… I guess it was his plan. Theo’s plans have been a bit scuppered, but being truly evil he’s decided to keep the killer Dread Doctor mask. Now it’s time to see what the Pack can do with it all back together.